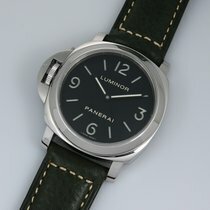 Best Panerai for beginners and collectors. It is plain and base as purists and paneristis prefer. Unique feature on this it's for those that like wearing a watch on right hand. Ask if more pictures needed, I will send high resolution photos and don't forget to check my other watches..